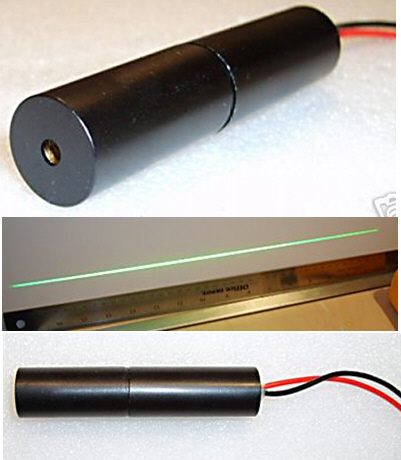 AixiZ LLC is a laser manufacturer and service provider, Texas license # Z02105 This is a 532m line module, 5mW 3VDC configuration, current draw 230mA. Picture shown shows a 40cm line with the module placed 40cm away from the target zone. Module size is 14mm wide X 65mm long.